The best gift you can give to a fandom as its favorite series is currently filming its television show is the gift of behind-the-scenes photos. And Shadowhunters certainly delivered on Day 2 of filming on episode 1. Check out these two new behind-the-scenes shots from a scene being filmed for the pilot episode of Shadowhunters, which features Katherine McNamara as Clary and a mystery woman. Cassie Clare confirmed that the woman in the photo is Dot or Dorothea. Maxim Roy shared a behind-the-scenes photo of herself filming a scene as Jocelyn. And she looks gorgeous! This totally reminded me we haven’t had Madame Dorothea casting!! Oh my goodness and Cassie confirms it is indeed her! 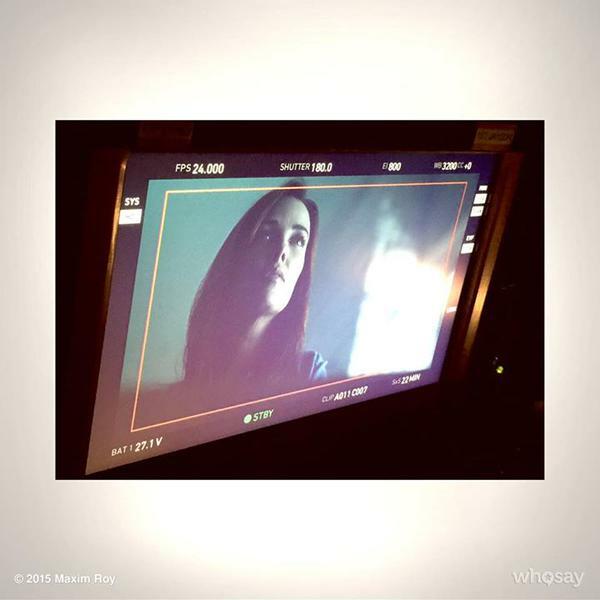 So she’s maybe a little closer with Clary, a small character? because they haven’t announced casting, and wearing an epic patterned dress! I cannot wait to see Shadowhunters. It maybe to early into the filmimg to ask, but would the series be airing in Australia? OMG yes, someone pleeeeeeease tell us. Their r a lot down here who would like to know! Yes I really don’t want us to miss out! Hopefully it will but I guess we’ll have to wait and see. It will probably end up being on like foxtel or something. I’m going to be really disappointed if they leave out Hodge as well. He was an important character to Alec, Izzy, and Jace… his betrayal has repercussions. Just wondering, I checked out on Twitter that there will be a new character, not from the books named Midori. Does anyone know a little more about her? She’s a character created for the show as another associate of Valentine’s, along with Pangborn & Blackwell. Maybe trying to throw in some evil female characters! The moment there’s a CUP that looks incredibly like the mortal cup behind the two hugging people and no one seems to have noticed. She does… saw it in another picture! 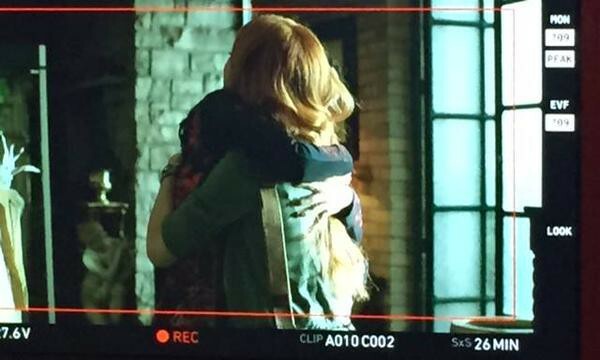 Did you guys know that the person clary is hugging, is actually her best friend in the show instead of Simon? I was so mad when I found out, honestly I would rather have more camera time on Izzy and Alec instead of a made up character. That is Dorthea not a made-up character.